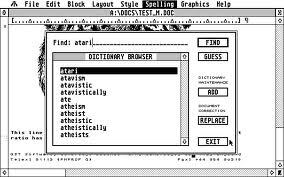 1st Word and 1st Word Plus were word processors developed by GST Computer Systems in the 1980s. The original package, 1st Word, was given away free with all Atari STs. The later 1st Word Plus was sold by GST and was more advanced.